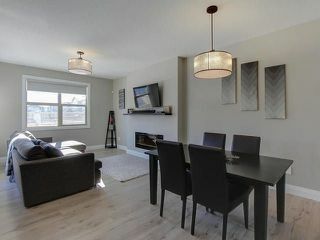 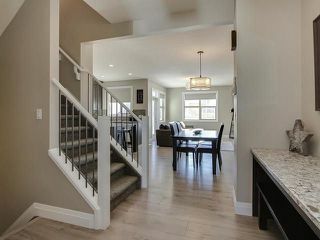 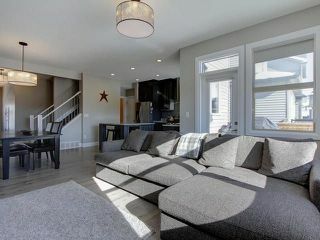 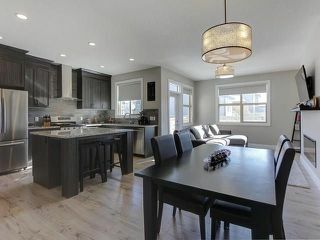 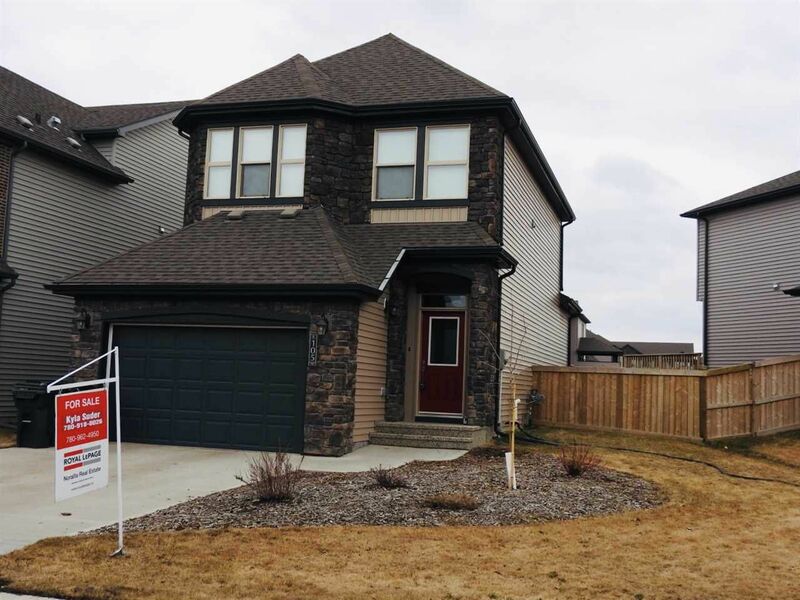 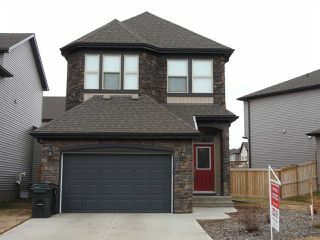 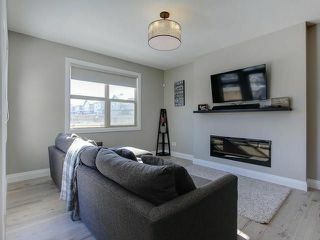 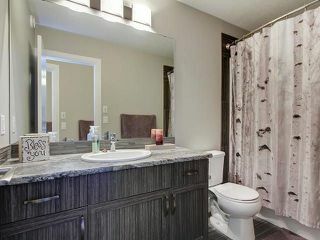 Flawless single detached Greenbury home on oversized, fenced lot in Spruce Grove has over 2000sqft of living space on three fully finished levels with 4 bedrooms, 3 full and one half bath.An oversized single and a half garage measures 16x24 and can fit a truck and have ample space for storage.Bright, spacious,open and modern concept has neutral decor, 9 ft ceilings and tons of windows! 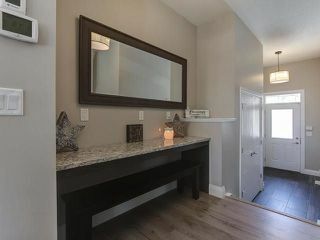 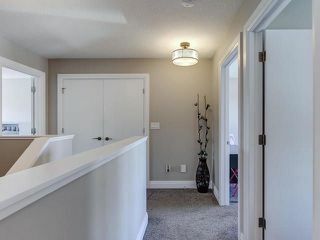 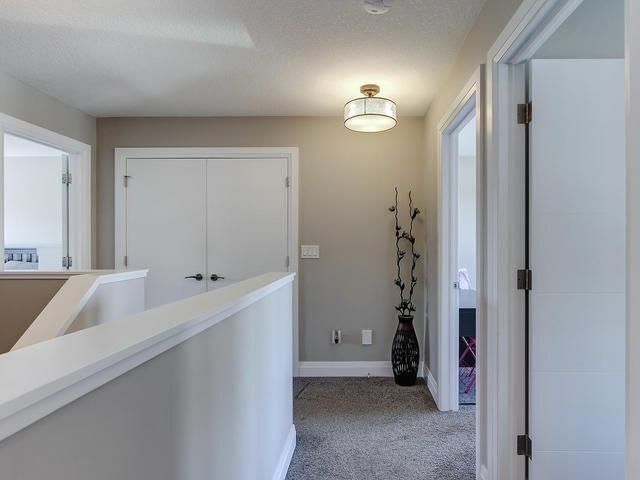 Foyer hallway has beautiful built in quartz desk. 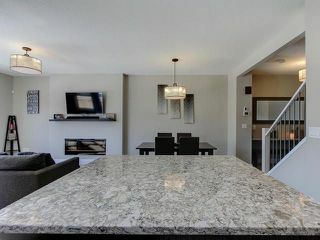 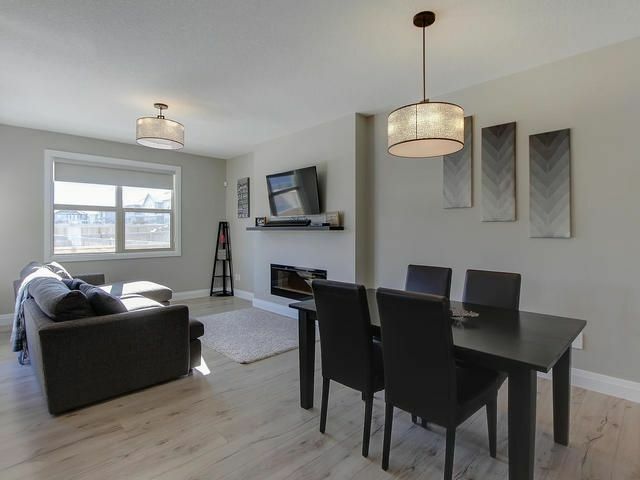 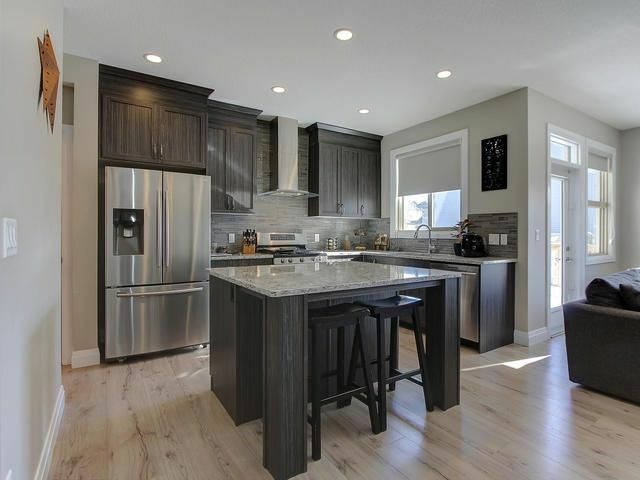 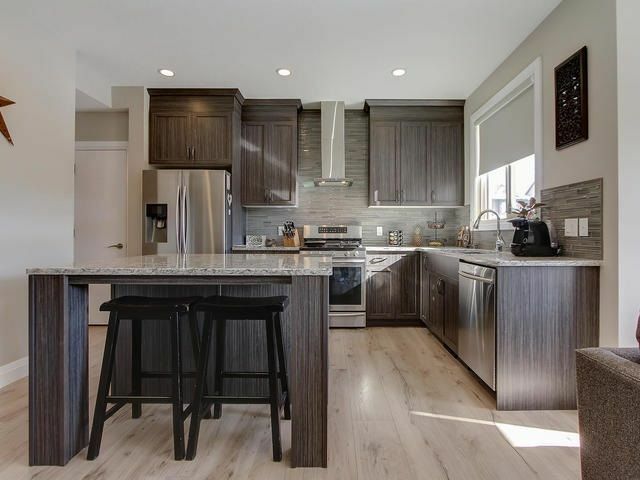 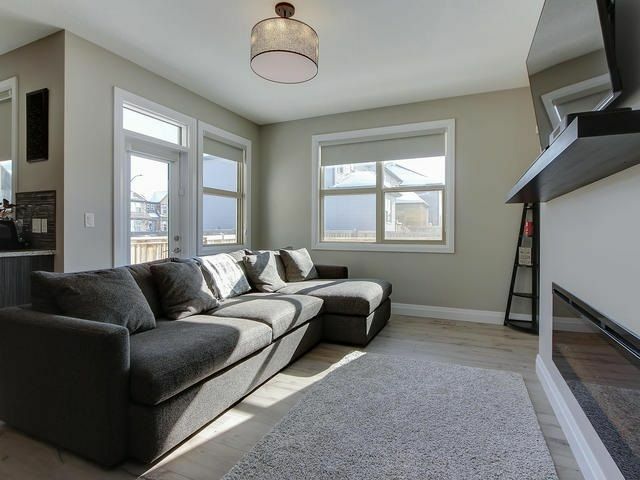 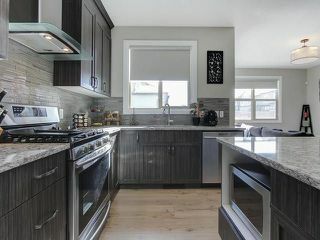 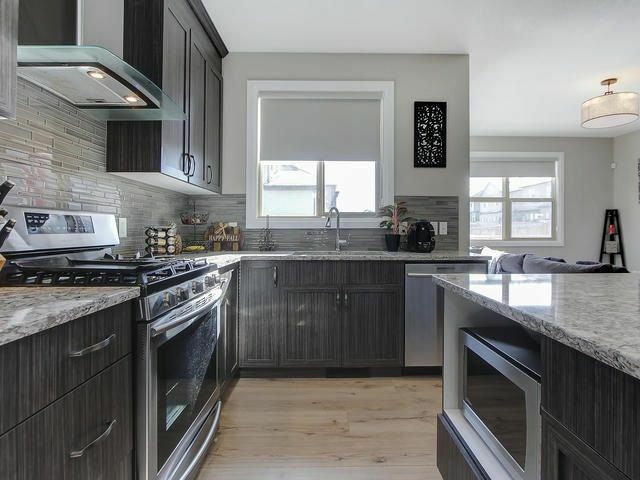 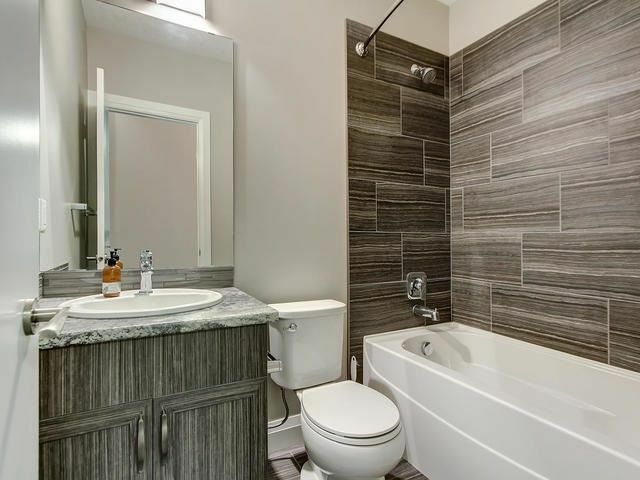 Large kitchen with quartz countertops, glass tile backsplash, centre island, upgraded S/S appliances including a gas stove compliments the spacious dining and living room. 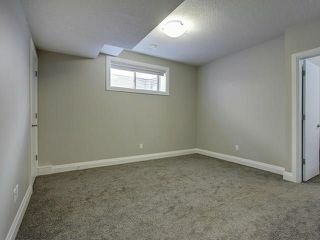 South facing backyard and wrap around deck can be accessed through the patio door from living room. 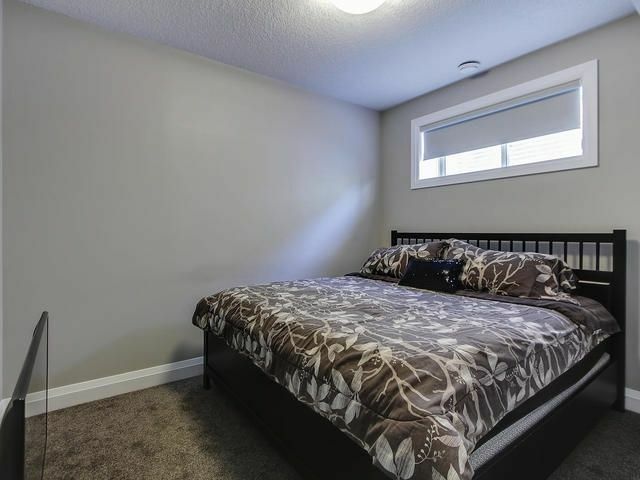 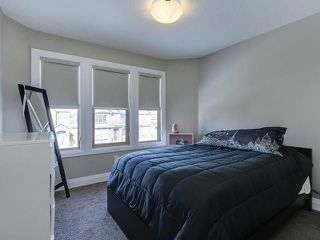 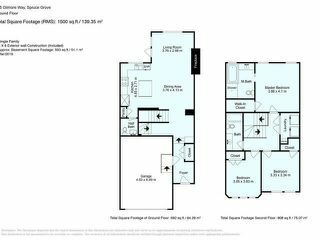 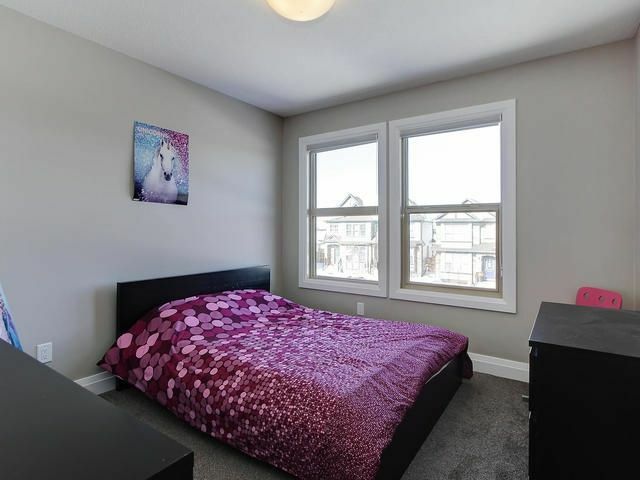 Master bedroom is of considerable size and has a large w/i closet, an awesome ensuite with large soaker tub and seperate shower. 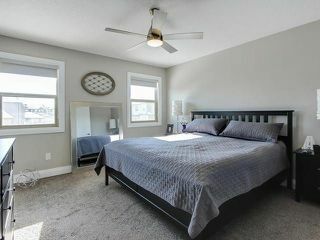 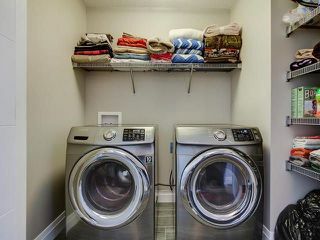 Two additional bedrooms with large windows and laundry can be found on this level. 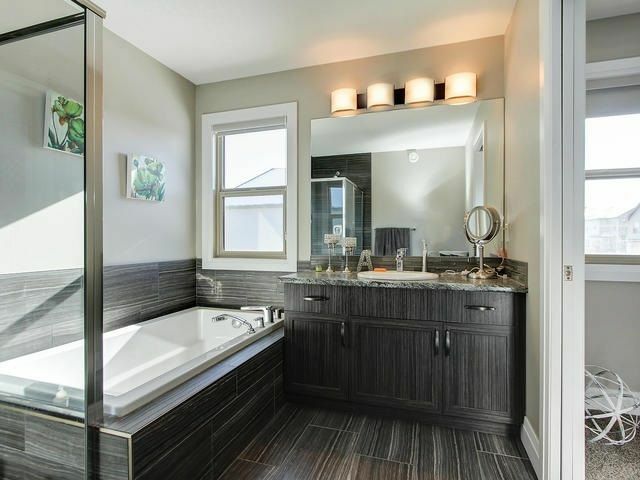 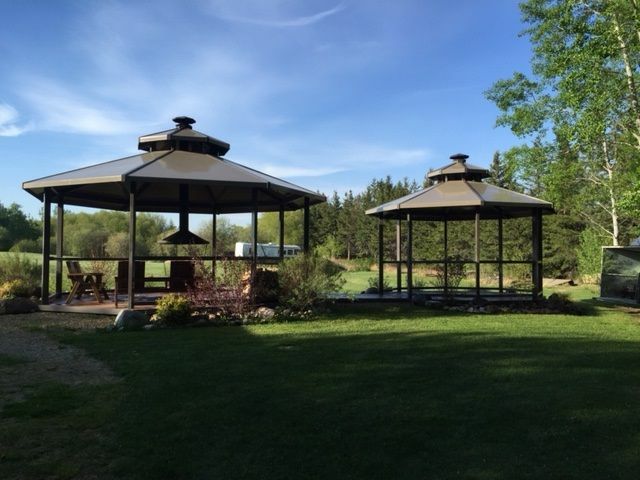 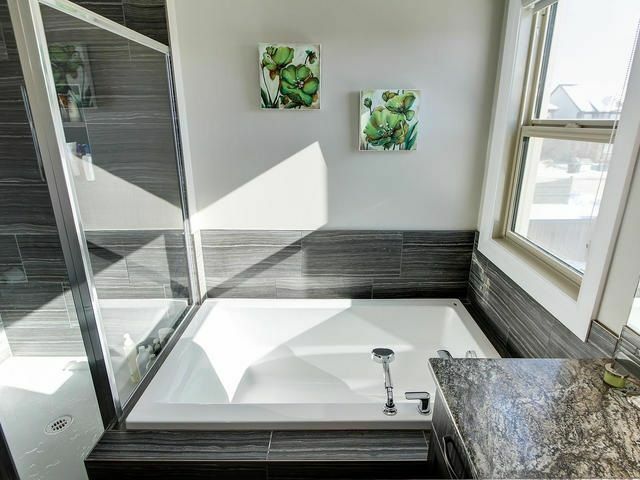 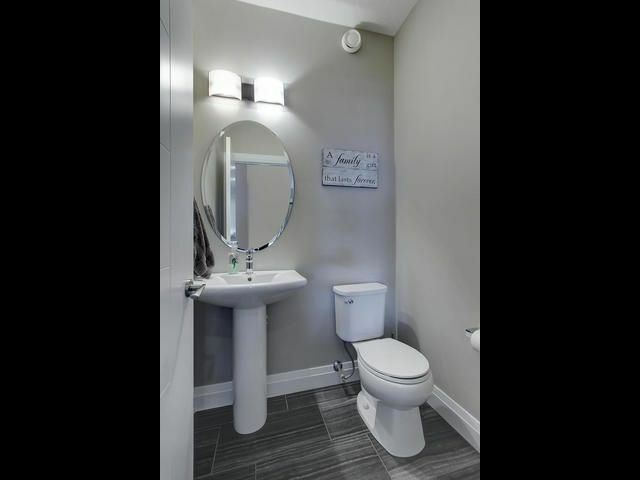 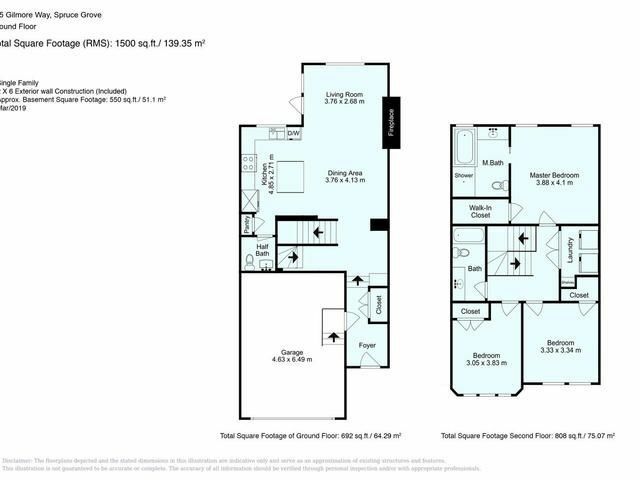 The basement is fully finished with family room, 4pce bath, large bedroom and ample storage!